Toronto FC announced Today that Aron Winter has been named the club’s new head coach and technical director, and Paul Mariner will be the teams new director of player development. “Aron will oversee our entire soccer operation and set the soccer direction of Toronto FC. Paul will be responsible for our club’s scouting, player acquisition, player development and our Academy,” said Tom Anselmi, executive vice president and chief operating officer, Maple Leaf Sports & Entertainment. Winter’s background is mainly with Ajax, which has a reputation for having one of the best youth set-ups in the world. For the last seven years Winter has been involved with the Ajax Academy as well as an assistant coach with the first team. Mariner, 57, returns to Major League Soccer after 15 months coaching with Plymouth Argyle in England. Before going back to England, Mariner was part of the very successful staff in New England where he was Assistant Coach. In Mariners six seasons with the Revolution, the Revs reached the MLS Cup three consecutive years and qualified for the MLS Playoffs in all six years. Toronto fans would as run of success like that. 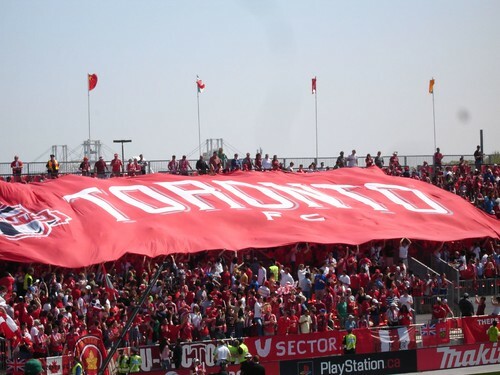 TFC fans are some of the best fans in the MLS, and the Toronto franchise has been a huge success off the field. Toronto needs to qualify for the playoffs this season, or Maple Leaf Sports & Entertainment runs the risk of alienating of those soccer fans they have worked so hard to get.